For all air conditioning & industrial heating solutions in Market Harborough, including installation, maintenance and emergency repairs contact Chillaire Limited. Chillaire Limited has been providing its service in design, sales, installation, maintenance and repairs in Market Harborough to a wide range of industrial and commercial businesses as well as to owners of residential properties for over 20 years. We have built a reputation in Market Harborough and across the UK for quality contract air conditioning installations and servicing. We are approved Daikin and Mitsubishi partners for the design, selection and installation of a wide range of air conditioning and heat pump systems. In addition to being Daikin and Mitsubishi partners we are approved supplier & installer of a wide range of other manufactured systems such as, Hitachi, Panasonic, Fujitsu, Carrier, Lennox, LG, Samsung, Airedale, Powrmatic, Combat, Airwell, Trane, Denco, Stulz, ICS, Hamworthy, Vaillant, Hoval, Potterton, Vapac, VES, Vent-Axia, Menerga and many more. In addition to our specialist air conditioning services we also provide comprehensive HVAC services in heat recovery, energy efficient systems and maintenance technologies. 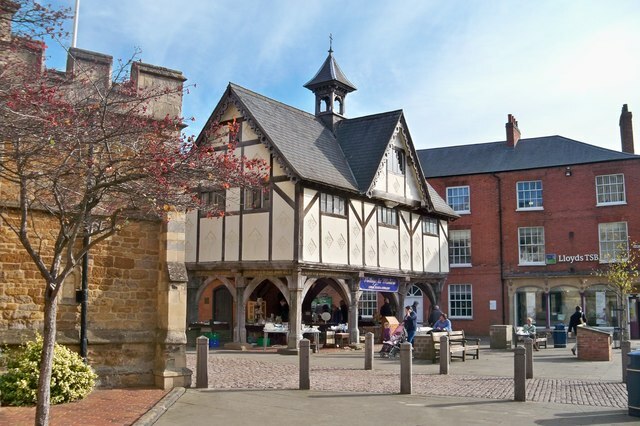 We have a professional repair and maintenance service team who ensure that all of our clients in Market Harborough and their systems in their building are kept working proficiently all year round. We also operate a 24-hour air conditioning & heating call out service (contract customers only) for emergency repairs where more urgent situations concerning a faulty system can arise and potentially have negative effects on the health and safety of a business. Market Harborough customers also have a comprehensive installation service from Chillaire Limited. We are highly reputable due to being manufacturer-approved installers of all major chiller and close control systems. With many of years of experience in the fitting of air con units around Market Harborough, our professional air conditioning installers can fit all types of air conditioning systems into your building. Give us a call today for more about our Market Harborough air conditioning installations. We have a highly skilled team of air conditioning engineers who are experienced in installing AC units and heating equipment to industrial and commercial markets in Market Harborough. If you require a new air conditioning or gas heating installation, depending on your market sector, we will be able to advise you on the best air conditioning units to put in your building. We install many types of air conditioning or gas fired heating systems, from water chillers and VRV units to heat pump based split systems or warm air or radiant tube heating. In addition to Market Harborough we deliver our services UK wide. Chillaire are based in the heart of England with various offices in surrounding areas, from where we provide a national service through our locally and remotely located engineers. Chillaire Limited were established and have been trading since 1992, we have been providing our highly valued customers the best possible service and quality solutions for all of their air conditioning / heating and ventilation requirements. We have highly skilled design and sales engineers who have served years within the industry to come with the best design and solutions. We employ City & Guilds qualified / CITB trained and certified engineers to install and service any HVAC plant installed by us or taken on by us through planned maintenance agreements. We are accredited supplier / installers for all major brands of HVAC equipment and have accreditations with Refcom F-Gas, Gas Safe,/ Altius, Achilles, CHAS, Safe Contractor, constructionline and BESA. We are registered with the Environmental Agency as a licensed waste carrier and have IOSH qualified H&S staff. We also serve; Evesham, Kettering, Loughborough, Milton Keynes, Gloucester, Leamington Spa, Lutterworth, Northampton, Hinckley, Leicester, Market Harborough, Nottingham, Oxford, Stoke on Trent, Peterborough, Tamworth, Solihull, Warwick, Redditch, Sutton Coldfield, Rugby, Wellingborough, Stratford Upon Avon, Worcester, Alcester, Bromsgrove, Coleshill, Crick, Banbury, Burton on Trent, Corby, Daventry, Bedford, Coalville, Coventry, Atherstone, Aylesbury, Brackley, Cannock, Halesowen, Huntingdon, Kidderminster, Lichfield, Luton, Stafford, Stourbridge, Telford, Walsall, Wolverhampton, Derby, Bedworth, Bicester, Burton Latimer, Castle Donington, Dudley, Ibstock, Kenilworth, Kineton Leighton Buzzard, Marston Green, Newport Pagnell, Rushden, Shefford, Southam, Towcester, Gaydon, Wellesbourne, West Bromwich & Uttoxeter.